It is on this symbiosis is due the difference between taste and flavor of Bulgarian yoghurt in comparison with yoghurt produced with starter cultures that are isolated and created outside our country. Note:- Images are for reference only. We will respond to you as soon as possible. After that cool down the yoghurt in the fridge for few hours. Then the milk is ready for use. In case you use yoghurt maker follow the applied instructions. Magnificent Rose Yoghurt. The yoghurt increases the amount of good bacteria in the GI tract. 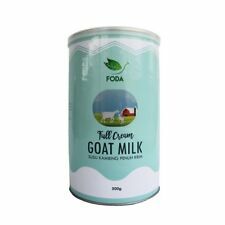 The milk can be easily dissolved in warm water and can even be used for cooking purposes. It is a healthy addition to your diet. Great for Cooking Cakes, Yogurt,Milk Pie, Milk Sweets, and Pastries. 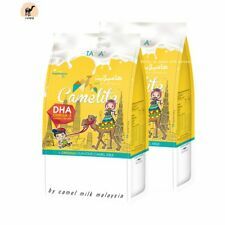 Roscela Milk Tablet Sweetened Flavour Food Snack. Yummy Healthy Candy. Direction :Milk Tablet in the mouth. Ingredients : milk powder..82 %. sugar..16 %. Note : Images are for illustration only. We will respond to you as soon as possible. 50 Sticks Cafe Arabica soluble Instant coffee mix Atomy Arabica Coffee & Natural Casein. Model : Atomy Arabica Cafe Coffee. Expiration Date : Max 2 Years. (30g) of Enfagrow A powder into 120 ml of warm water that has previously been boiled for 5 minutes and allowed to cool to 40°C. We will respond to you as soon as possible. Fonterra Ratthi. Fonterra Instant Full Cream. Manufactured by Fonterra in New Zealand. Energy(kj,kcal),Milk protein,carbohydrate,,milk fat,vitamin A,C,E,Thiamine,Riboflavin,vitamin b6, Pantothenic Acid,Folate,vitamin b12,Biotin,Calcium,phosphorus,Magnesium,Zinc,Sodium,Potassium, Manganease. Natural condensed Milk with sugar. Composition of product: normalized Milk, sugar. Quantity: 1 piece (380 g - 13.4 oz). Manufacturer: JSC "Alekseevsky dairy plant", Russia. High protein content. Rich in Vitamin C and minerals such as iron. More nutritious than cow's milk. 20 sachet / box (1 sachet = 25 gram). Low fat and cholesterol. joint pain (anti-arthritis). After that cool down the yoghurt in the fridge for few hours. Then the milk is ready for use. In case you use yoghurt maker follow the applied instructions. The yoghurt increases the amount of good bacteria in the GI tract. Almond is a particularly good source of protein, containing all the essential amino acids. EcoMil Almond Instant is a perfect alternative to dairy or soya milks in almost all preparations, in coffee, tea, with cereals, in baking, for sauces or as a cold refreshing or hot drink by itself. Ingredients : Glucose Syrup 62.8%, Coconut Oil 33%, Sodium Caseinate 2.2%. Condition: New. We want you to be 100% satisfied with our products and our service. We will never know your credit card information. Whole Earth-Organic Nocaf (100g)Put your feet up with this organic, caffeine-free alternative to coffee, made with organic barley, ground chicory, roasted figs and malt. Suitable for vegetarians. Suitable for vegans. Longevity Sweetened Condensed Milk. 1 Can of Condensed Milk. Ingredients: Milk, Sugar. Size:12.7 Ounce Kids love milk. Make it easy for them to enjoy and easy for you to have on hand with klim fortificada milk. Nestle Klim Instant Dry Whole Milk Powder Fortificada, 12.7 Ounce. 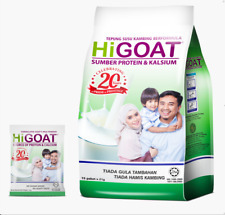 Klim is a specially formulated powdered milk that contains nutrients to help support your familys health. Milk "Alekseevskoe" condensed whole with sugar 8.5%. Manufactured: ЗАО " Алексеевский молочноконсервный комбинат" Weight: 0,27 kgIngredients: whole milk, skim milk, sugar (sucrose, lactose). Nutritional information per 100g: proteins - 7,2g, fat - 8,5g, carbohydrates - 56g. We also deal with wide range of printing and stationary products. Custom Duty. Specially selected acidophilic bacteria are resistant to the action of many antibiotics and chemotherapeutic drugs, they are very hardy and take root in the intestines. All this makes acidolact especially useful for people of any age during inflammatory processes. Coconut cream powder is prepared from fresh coconut cream & is really convenient for cooking, use what you want & keep the remainder in an airtight jar, add to your curries, Thai/Asian desserts, cake fillings & puddings.